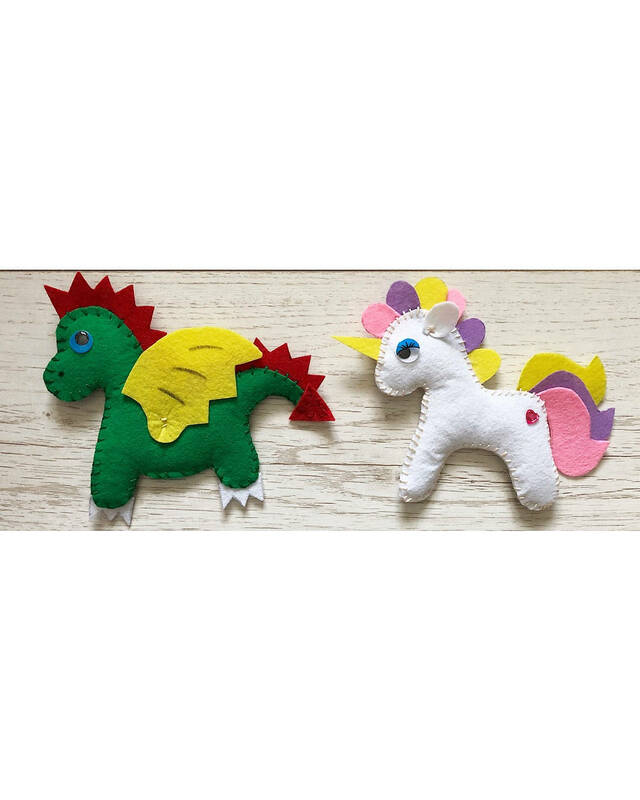 Mythical Creatures Craft - Felt Unicorn or Dragon. Made to order or Craft yourself kit. Two options for my Mythical Felt Creatures. Opt 1. Made to order. You will receive a handmade finished felt Unicorn or Dragon. 1 per sale. 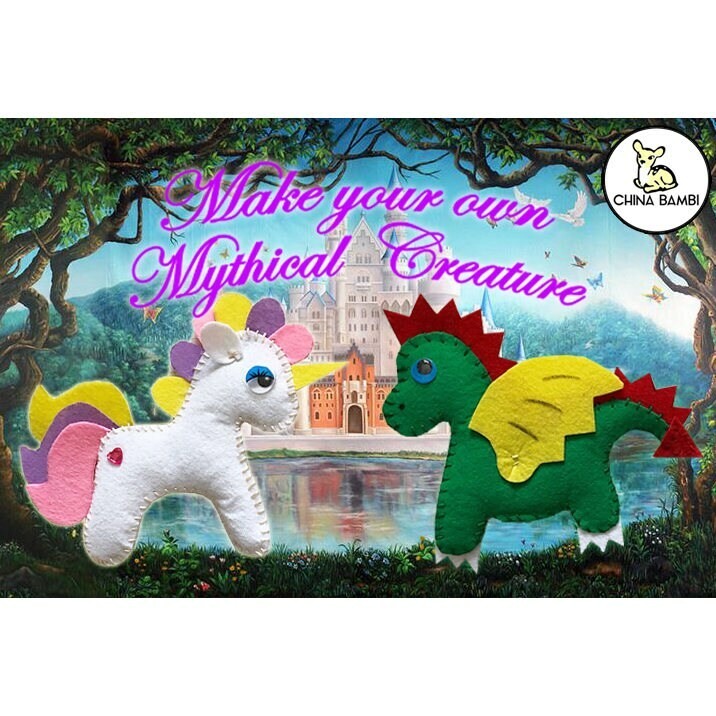 You will receive a craft kit so you can make the Mythical Creature yourself or give as a gift. It will arrive in a special gift bag with all tools needed to make the Mythical Creature yourself. Craft Bag included - Felt already cut to shape. Needle & thread. Eyes/Accessories. Instructions on how to make. Please choose which option you would like and which Mythical Creature. Please note colours may vary per style.